The West Hollywood landmark is one of 25 candidates in the running for a $150,000 prize in a campaign called Partners in Preservation. (The venture will award $2 million total toward preservation of multiple sites), the Los Angeles Conservancy announced yesterday. If the Formosa wins, the money would specifically go toward funding the rehabilitation of the Pacific Electric Red Car trolley, the oldest portion of the circa-1930s building. 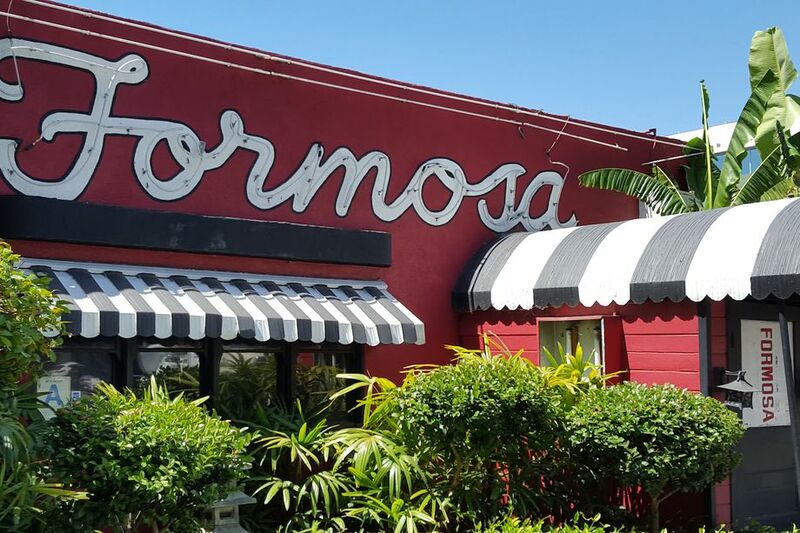 The Formosa Cafe was nominated for the campaign by the Los Angeles Conservancy. “Legacy bars and restaurants like the Formosa Café are exceedingly rare today, threatened by development pressure, increasing rents, and ever-changing demographics that make them difficult to survive,” said the Conservancy’s advocacy director, Adrian Scott Fine, in a statement. You can vote for the Formosa at the campaign website, Vote Your Main Street. The Formosa’s had a rollercoaster of a year. It shuttered in January, and though the building itself is protected, the mystery surrounding its future was worrisome. Thankfully, the new owners, 1933 Group (of Idle Hour and Highland Park Bowl fame) quickly made it clear that their plan was to restore and revivethe building.